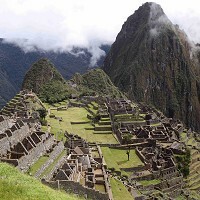 Authorities in Peru have had to face protests by holidaymakers angry at being turned away from Machu Picchu after visitor numbers at the site exceeded the official limit. The famed Inca citadel - a Unesco World Heritage Site - is the South American nation's biggest tourist attraction. But in 2005 concerns over its safety prompted Lima to restrict the number of visitors to 2,500 per day. Last week, hundreds of travellers were stopped from going the hilltop where the majestic ruins stand because the capacity had been reached. Incidents such as this highlight the importance of having a travel insurance as protection against unforeseen problems. Hundreds of angry holidaymakers barricaded the entrance to the site near the town of Aguas Calientes. Buses carrying tourists were prevented from going up to the site as a bridge at the entrance was blocked for nearly two hours. Officials blamed the confusion on tour operators who fail to inform customers about the visitor restrictions at Machu Picchu or advise them to buy tickets that are available online, in advance.